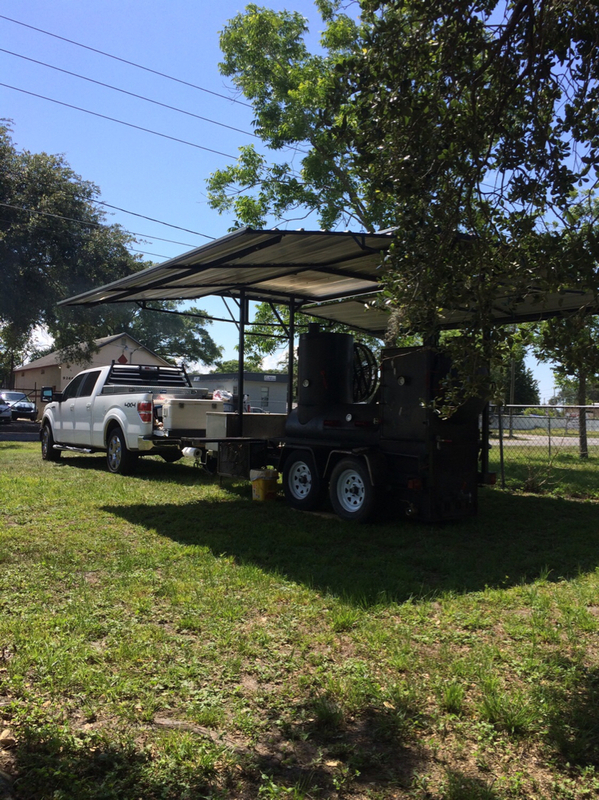 Any Accessories you can think of that you can build for your smoker or for cooking on your smoker. Let’s be honest: you can’t smoke anything on a smoker from start to finish without using a paper towel. I know I sure can’t! 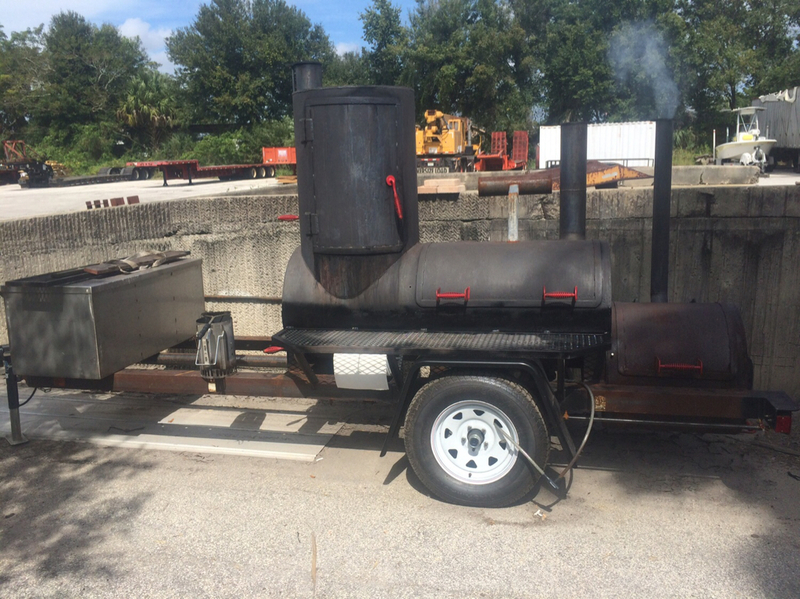 I need to put a paper towel dispenser on my smoker and am looking for everyone’s ideas and pictures of what you did. I want to make a horizontal dispenser for normal household paper towels and am thinking of fabricating it to mount below my work shelf. I built one on a cook table several years ago and find that the paper towels just unroll with even a small wind. I solved the unrolling with a bungee cord but it’s a real pain to use. I just know this group can come up with a better idea. So, what are you using for a dispenser, how do you keep the towels from unrolling by themselves and what would you do different on your next design. As always, add a good picture and measurements if you got em! You have to have a swing arm with a roller on top of the roll. Sort of like a commercial roller towel dispenser. 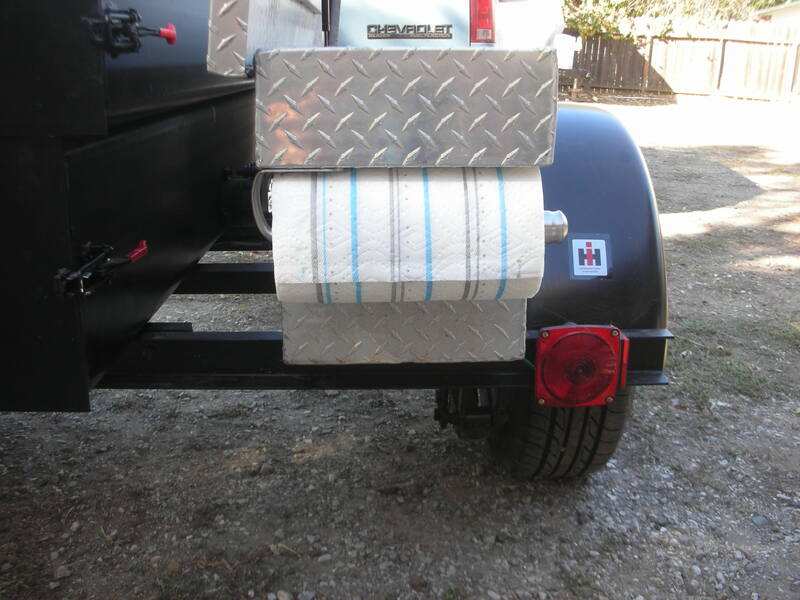 This stops the roll of unrolling easily. Then you have to have a sharp mechanism to cut said paper off at the length you want. That is where it gets interesting as sometimes if you tug too hard, even with the roller on top it can still unroll more than what you want if the cutter is not sharp. I took the easy way out and at an auction purhcased a brand new commercial roller towel dispenser with a box of spare rolls. Works like a treat and it is somewhat water resistant as well. Most household towels here are perforated every 8-10 inches so no cutter is needed. 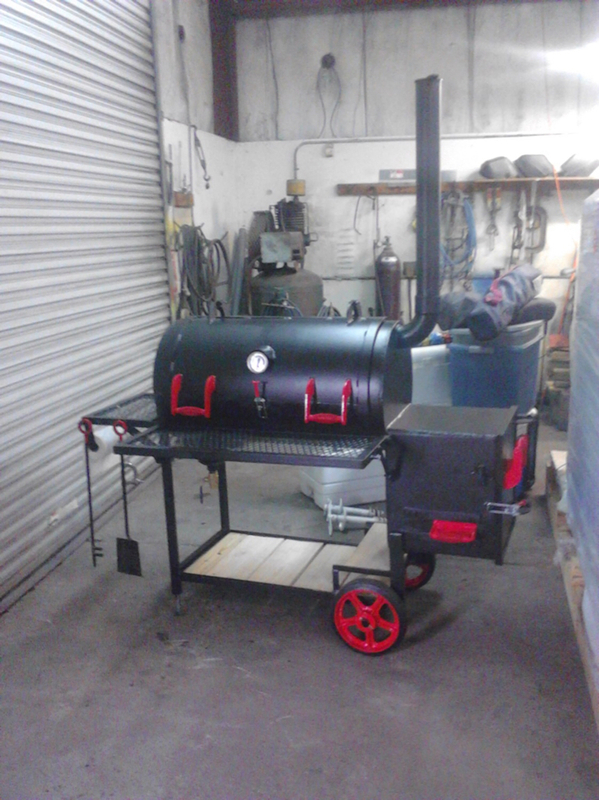 Great idea going commercial grade but I’m hoping to make something to match the smoker. Weatherproof is not an issue as I roll mine in the shop between smokes. I too will be putting a roll on my smoker somewhere. My barber has a pretty cool towel dispenser that puts the roll inside a drawer that just fits the roll, he slips the towel out the top of the drawer and pulls and tears it off leaving the tail of the next one exposed. I believe the roll is just laying in the drawer. I want something similar but I also want a foil roll to go with it. I'm thinking of a tray that the roll hangs in with a slot at the bottom front edge. Paper and foil go out the bottom and a cutter edge is extending down a bit in front of it. Pull down and then pull up to cut it off. I'll be watching this thread for ideas. I agree it must have a roll holder. I put them on mine. I use a weight and a plastic coated cable as an light touch on the roll so the wind doesn’t unroll them. It works great and doesn’t take any space. The last picture shows how it changed over time. Is that the cable hanging down in the center of the roll (in the second picture)? Looks like it terminates just below centerline? That is exactly what I am looking for....simple and non complicated. Easy to grab and yet not going to have them unroll by themselves. 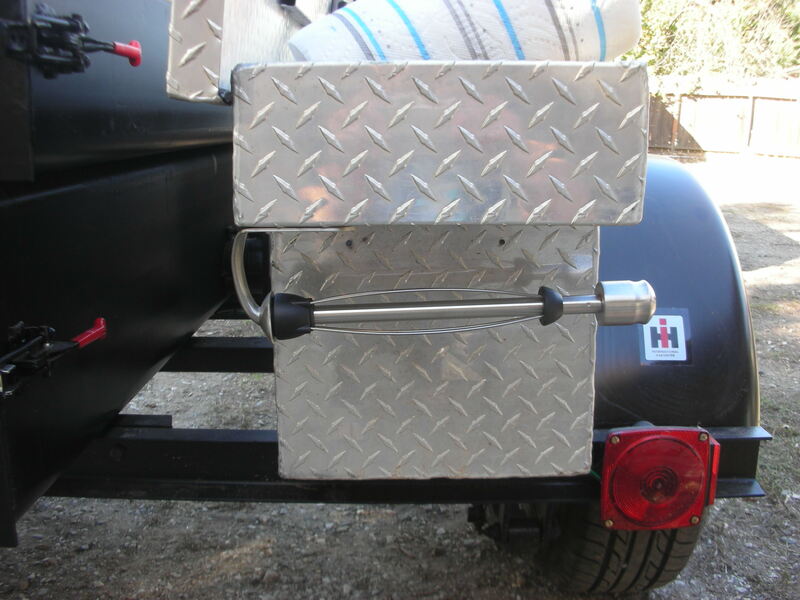 I was thinking of a hinged drop bar but concerned with where it should pivot to be most effective. I really like the cable tho as it will self-adjust to the roll as it gets smaller and yet won’t be in the way. It is a cable with a shackle on the end, it attaches above the rod that holds the roll then the shackle hangs about 4” below the roll so gravity holds the towels. I'm going to have to cobble something like that together for mine....I'll have to find something interesting to hang off the cable though. This is what I ended up with. The cable is just long enough to fit down on the empty roll and not get in the way of grabbing the last sheet. Works perfect to keep the wind from unrolling. The threaded rod has a nylon nut on one side so I only have to worry about keeping one side tight. I'm thinking of a hinged hasp positioned to lay like that cable. I will have to dig in the scrap pile and see what pops up first. The wife picked me up one of these...it has a ratchet that won't let in unroll......I got it mounted and it works perfectly. I will upload a photo once I can get it to load. Looks nice and hope it works...my problem was the wind unwrapped the towels. The roll never un-rolled as the towels just flipped around and I would end up with 2-4 towel lengths flapping i the wind. Great mounting location....looks really good there. It was windy where I cooked today and the roll holder worked flawlessly. Easy to pull and get a towel and it never even budged with the wind. Side note....I was watching my Thermpro when I lit the smoker up while I was working and a big gust of wind would swirl over the building and the temps would drop 2 degrees as it back flowed for a second...once it got over 150* it quit doing it and had enough heat to draft through those gusts.